Caption slip reads: "Photographer: Lapp. Date: 1958-09-01. Reporter: Kline. Assignment: Labor Day mass at St. Vibiana. 5/6: Father William J. Barry (speaker). 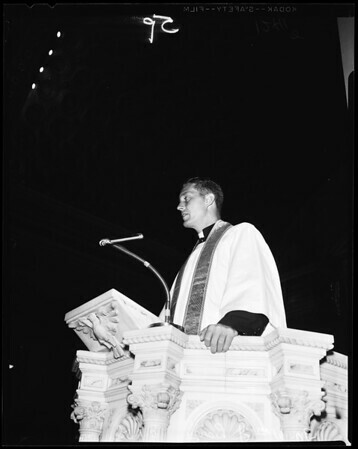 22: Father William J. Barry, Bishop Alden Bell. 21: Procession.